Coming up with a 90 minute class that includes ages five to 11 can be challenging though… I want to provide a fun learning experience so everyone feels included and engaged. 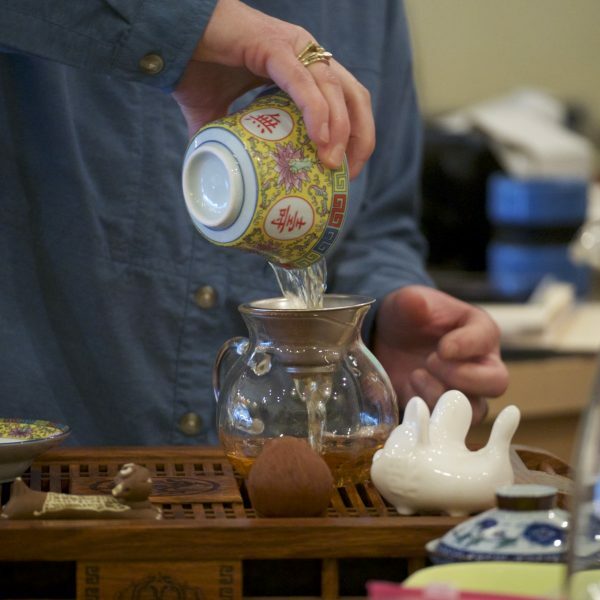 I’ve found it’s most effective to modify my Children’s Tea & Etiquette—focusing more hands-on. 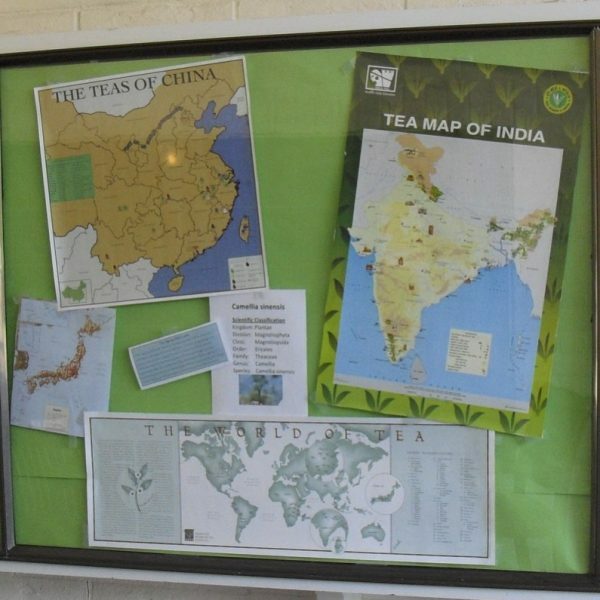 It all starts with a large world map and visiting each country through their tea culture. Our first country visit is China—observing the unique tools (tea pets too) and steeping a full leaf white tea. 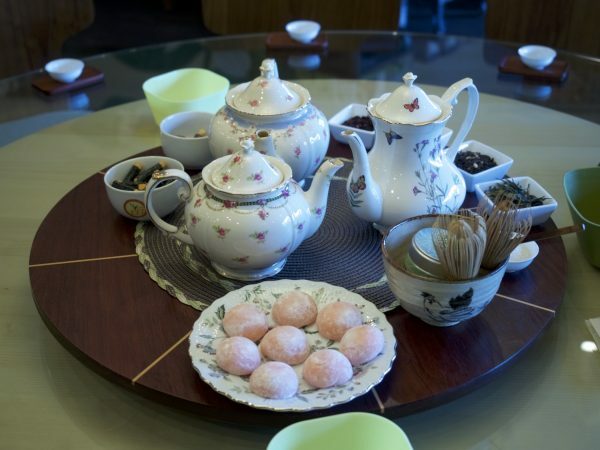 The older kids might want to try using the Chinese gaiwan, with the younger ones pouring tea for others using the Cha-hai. Our visit to Japan has all the kids participate in whisking matcha with tasting for everyone. 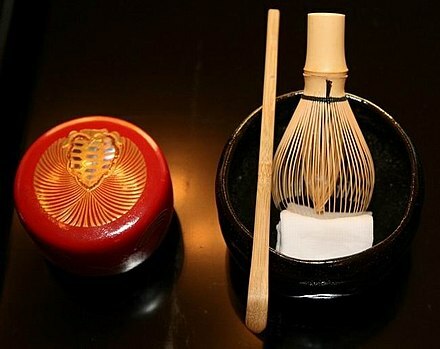 We see pictures of the Japanese Tea Ceremony and talk about how one piece of bamboo is hand-carved to make the whisk (chasen). When we visit India, the kids get introduced to different spices that go into a masala blend. 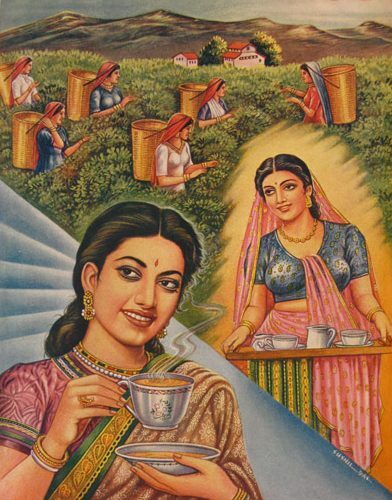 They work together to make their own chai (tea) blend—which we then use to prepare and enjoy “street chai”. Finally, with our trip to Britain, everyone sets their own tea place setting and older kids help younger ones follow the picture guidelines. Enjoying tea and cake while we use our best manners concludes the class. It’s all simple, but keeps moving along. It is most rewarding for me to be part of the excitement, cooperation and delight of the whole group. « Previous Post: Welcome to a New Year!